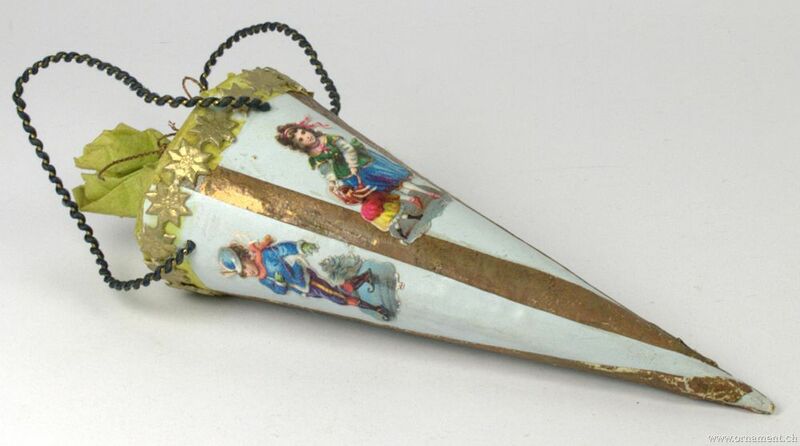 Description Schultuete is a long pointed cone made of cardboard and filled with sweets or small presents, given to children on their first day at school, here in a form suited as Christmas ornament. Note the Dresden trim and the nice scrap. 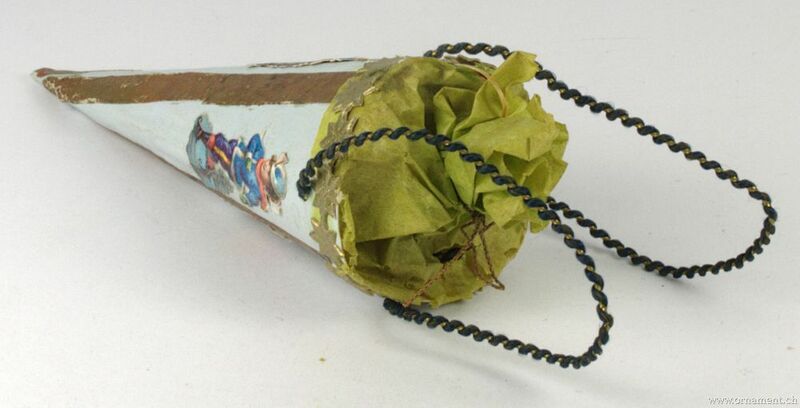 Size 1.6 inches diameter, 5.1 inches long.